Please Help Our Grassroots Efforts! to the efforts of the NOVA GOP PAC. * NorthernVirginiaGOP.com TV - 40+ cable systems serving 1,000,000+ homes! * CHAIRMAN'S REPORT - YEAR END GIFT - The Northern Virginia Republican Political Action Committee is a nonprofit not affiliated with national, state or local GOP committees. We don't have salaried staff. We've been running on a shoestring budget. But we've worked to make a difference anyway. We worked hard in 2017, but frankly, there were things we didn't have funding for and unlike the government, we can't just print money. Thank you for your consideration and I hope to hear from you today! * LOCAL CONSERVATIVE TV! - NOVA GOP TV is hosted by James Parmelee on 40+ cable systems including… ALEXANDRIA: Comcast-Ch.69 every Sun. @8:30 PM. ARLINGTON: Comcast-Ch.69 & Verizon-Ch.38 every Mon. @11 AM & Tue. @7:30 PM. Also on Verizon-Ch.10 every Mon. @12 AM, Tue. @11:30 AM & Thurs. @7 PM. FAIRFAX CITY: Cox-Ch.10, Cox-Ch.810 & Verizon-Ch.10 every Mon. @12 AM, Tue. @11:30 AM & Thurs. @7 PM. FAIRFAX COUNTY: Cox-Ch.10, Cox-Ch.810 & Verizon-Ch.10 every Mon. @12 AM, Tue. @11:30 AM & Thurs. @7 PM. FALLS CHURCH: Cox-Ch.11, RCN-Ch.2 & Verizon-Ch.35 every Sun. @9:30 AM, Tue. @11:30 AM & Wed.@4:30 PM. Also on Cox-Ch.10, Cox-Ch.810 & Verizon-Ch.10 every Mon. @12 AM, Tue. @11:30 AM & Thurs. @7 PM. FREDERICKSBURG, STAFFORD & SPOTSYLVANIA: Cox-Ch. 25 & Verizon-Ch.43, times rotate. LEESBURG & LOUDOUN: Verizon-Ch.10 every Mon. @12 AM, Tue. @11:30 AM & Thurs. @7 PM. PRINCE WILLIAM, MANASSAS & MANASSAS PARK: Comcast-Ch.2 every Mon. @7 PM. Also on Verizon-Ch.10 every Mon. @12 AM, Tue. @11:30 AM & Thurs. @7 PM. RESTON: Comcast-Ch.28 every Sat. @Noon & Mon. @7 PM. Also on Comcast-Ch.10 & Verizon-Ch.10 every Mon. @12 AM, Tue. @11:30 AM & Thurs. @7 PM. WASHINGTON DC: Comcast-Ch.95, RCN-Ch.10 & Verizon-Ch.10, times rotate. RICHMOND, CHESTERFIELD, HENRICO, HANOVER, ASHLAND, GOOCHLAND, POWHATAN & LOUISA: Comcast-Ch.95 & Verizon-Ch.36 (Comcast-Ch.17 & Verizon-Ch.27 in Chesterfield), times rotate on these 8 systems. ONLINE STREAMING: Every Mon. @11 AM & Tue. @7:30 PM at www.arlingtonmedia.org/programming/live-stream and times rotate at www.dctv.org/Live (schedule at www.dctv.org/Schedule). Times & stations subject to change. For more information on NOVA GOP TV, call (703) 502-0161. Do you know of an event our 30,000+ subscribers should know about? Let us know at (703) 502-0161 or JTParmelee@aol.com. NOTE: Some event details may change after publication, so we recommend you check www.NorthernVirginiaGOP.com before attending. 1/4 - Alexandria GOP Committee Meeting - Minnie Howard School, 3801 W. Braddock Road, Alexandria. Call: (571) 281-7042. 1/6 - NOVA GOP TV Taping - for more information, call (703) 502-0161. 1/9 - Virginia Senate Republican Caucus 14th Annual Legislative Reception and Luncheon - 11:30 AM-1:30 PM, The Jefferson Hotel, 101 West Franklin Street, Richmond. $500. Call: (804) 308-2583. 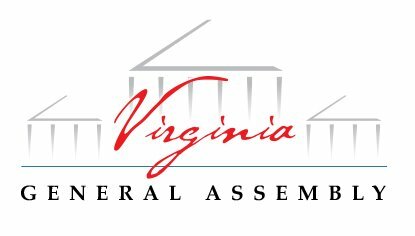 1/10 - Virginia General Assembly Convenes - Richmond. 1/18 - Fairfax City GOP Committee Meeting - The Old Firestation #3, 3988 University Drive, Fairfax. Call: (703) 731-9029. 1/22 - Prince William County GOP Committee Meeting - Call: (703) 680-7388. 1/24 - Arlington County GOP Committee Meeting - Call: (703) 685-2488. 1/29 - Loudoun County GOP Committee Meeting - Loudoun County Government Center, 1 Harrison Street, SE, Leesburg. Call: (703) 627-5272. 2/1 - Alexandria GOP Committee Meeting - Minnie Howard School, 3801 W. Braddock Road, Alexandria. Call: (571) 281-7042. 2/3 - NOVA GOP TV Taping - for more information, call (703) 502-0161. 2/15 - Fairfax City GOP Committee Meeting - The Old Firestation #3, 3988 University Drive, Fairfax. Call: (703) 731-9029. 2/19 - Alexandria George Washington Birthday Parade - 1-3 PM, to march with the Alexandria GOP, please meet at Noon at the staging area, for details please call (703) 823-1801. 2/21-2/24 - 45th Annual Conservative Political Action Conference (CPAC) - Gaylord National Resort & Convention Center, 201 Waterfront Street, National Harbor, MD. Call: (202) 347-9388. 2/26 - Prince William County GOP Committee Meeting - Call: (703) 680-7388. 2/26 - Loudoun County GOP Committee Meeting - Loudoun County Government Center, 1 Harrison Street, SE, Leesburg. Call: (703) 627-5272. 2/28 - Arlington County GOP Committee Meeting - Call: (703) 685-2488. 3/1 - Alexandria GOP Committee Meeting - Minnie Howard School, 3801 W. Braddock Road, Alexandria. Call: (571) 281-7042. 3/3 - NOVA GOP TV Taping - for more information, call (703) 502-0161. 3/3 - Alexandria St. Patrick's Day Parade - Noon-2 PM, to march with the Alexandria GOP, please meet at Noon at the staging area, for details please call (703) 823-1801. 3/15 - Fairfax City GOP Committee Meeting - The Old Firestation #3, 3988 University Drive, Fairfax. Call: (703) 731-9029. 3/26 - Prince William County GOP Committee Meeting - Call: (703) 680-7388. 3/26 - Loudoun County GOP Committee Meeting - Loudoun County Government Center, 1 Harrison Street, SE, Leesburg. Call: (703) 627-5272. 3/28 - Arlington County GOP Committee Meeting - Call: (703) 685-2488. 4/5 - Alexandria GOP Committee Meeting - Minnie Howard School, 3801 W. Braddock Road, Alexandria. Call: (571) 281-7042. 4/7 - NOVA GOP TV Taping - for more information, call (703) 502-0161. 4/19 - Fairfax City GOP Committee Meeting - The Old Firestation #3, 3988 University Drive, Fairfax. Call: (703) 731-9029. 4/23 - Prince William County GOP Committee Meeting - Call: (703) 680-7388. 4/25 - Arlington County GOP Committee Meeting - Call: (703) 685-2488. 4/30 - Loudoun County GOP Committee Meeting - Loudoun County Government Center, 1 Harrison Street, SE, Leesburg. Call: (703) 627-5272. 5/1 - Election Day for City and Town Offices - To help the GOP, call (804) 780-0111. 5/3 - Alexandria GOP Committee Meeting - Minnie Howard School, 3801 W. Braddock Road, Alexandria. Call: (571) 281-7042. 5/5 - 18th Annual NOVA GOP PAC Kentucky Derby Day Fundraiser - Call: (703) 502-0161. 5/5-5/6 - Virginia Federation of Republican Women Annual Convention - Richmond. Call: (804) 320-2719. 5/17 - Fairfax City GOP Committee Meeting - The Old Firestation #3, 3988 University Drive, Fairfax. Call: (703) 731-9029. 5/19 - McLean Day - 11 AM-5 PM, Lewinsville Park, 1659 Chain Bridge Road, McLean. Volunteers needed for the GOP booth. 5/23 - Arlington County GOP Committee Meeting - Call: (703) 685-2488. 5/28 - Prince William County GOP Committee Meeting - Call: (703) 680-7388. 5/28 - Loudoun County GOP Committee Meeting - Loudoun County Government Center, 1 Harrison Street, SE, Leesburg. Call: (703) 627-5272. 6/2 - NOVA GOP TV Taping - for more information, call (703) 502-0161. 6/7 - Alexandria GOP Committee Meeting - Minnie Howard School, 3801 W. Braddock Road, Alexandria. Call: (571) 281-7042. 6/12 - Primary Day - 6 AM-7 PM, at regular polling places for any contested GOP nominations to be decided by primary. Call: (804) 780-0111. 6/21 - Fairfax City GOP Committee Meeting - The Old Firestation #3, 3988 University Drive, Fairfax. Call: (703) 731-9029. 6/25 - Prince William County GOP Committee Meeting - Call: (703) 680-7388. 6/25 - Loudoun County GOP Committee Meeting - Loudoun County Government Center, 1 Harrison Street, SE, Leesburg. Call: (703) 627-5272. 6/27 - Arlington County GOP Committee Meeting - Call: (703) 685-2488. 7/4 - Independence Day - Daytime Parades & Evening Fireworks - Many campaigns will be looking for volunteers to hand out literature, participate in floats, etc. For details, call your local campaigns and/or check out our updated list at www.NorthernVirginiaGOP.com. 7/4 - Leesburg Independence Day Parade - Marching w/local candidates & more - 9 AM (parade at 10 AM), Ida Lee Recreation Center, 60 Ida Lee Drive, Leesburg. Call: (703) 627-LCRC. 7/4 - Dale City Independence Day Parade - Marching w/local candidates & more - 9 AM (parade at 10 AM), Dale City Boys & Girls Club, 5070 Dale Boulevard, Dale City. Call: (703) 680-7388. 7/4 - Fairfax City Independence Day Parade - Marching w/local candidates & more - 9:30 AM (parade at 10 AM), Massey Building. Call: (703) 352-1337. 7/4 - The Leadership Institute's Conservative Soiree - Bull Run Regional Park Pavillion, 7700 Bull Run Drive, Centreville. Call: (703) 247-2000. 7/5 - Alexandria GOP Committee Meeting - Minnie Howard School, 3801 W. Braddock Road, Alexandria. Call: (571) 281-7042. 7/18 - Fairfax City GOP Committee Meeting - The Old Firestation #3, 3988 University Drive, Fairfax. Call: (703) 731-9029. 7/23 - Prince William County GOP Committee Meeting - Call: (703) 680-7388. 7/25 - Arlington County GOP Committee Meeting - Call: (703) 685-2488. 7/30 - Loudoun County GOP Committee Meeting - Loudoun County Government Center, 1 Harrison Street, SE, Leesburg. Call: (703) 627-5272. 8/2 - Alexandria GOP Committee Meeting - Minnie Howard School, 3801 W. Braddock Road, Alexandria. Call: (571) 281-7042. 8/16 - Fairfax City GOP Committee Meeting - The Old Firestation #3, 3988 University Drive, Fairfax. Call: (703) 731-9029. 8/22 - Arlington County GOP Committee Meeting - Call: (703) 685-2488. 8/27 - Prince William County GOP Committee Meeting - Call: (703) 680-7388. 8/27 - Loudoun County GOP Committee Meeting - Loudoun County Government Center, 1 Harrison Street, SE, Leesburg. Call: (703) 627-5272. 9/6 - Alexandria GOP Committee Meeting - Minnie Howard School, 3801 W. Braddock Road, Alexandria. Call: (571) 281-7042. 9/20 - Fairfax City GOP Committee Meeting - The Old Firestation #3, 3988 University Drive, Fairfax. Call: (703) 731-9029. 9/24 - Prince William County GOP Committee Meeting - Call: (703) 680-7388. 9/24 - Loudoun County GOP Committee Meeting - Loudoun County Government Center, 1 Harrison Street, SE, Leesburg. Call: (703) 627-5272. 9/26 - Arlington County GOP Committee Meeting - Call: (703) 685-2488. 10/4 - Alexandria GOP Committee Meeting - Minnie Howard School, 3801 W. Braddock Road, Alexandria. Call: (571) 281-7042. 10/18 - Fairfax City GOP Committee Meeting - The Old Firestation #3, 3988 University Drive, Fairfax. Call: (703) 731-9029. 10/22 - Prince William County GOP Committee Meeting - Call: (703) 680-7388. 10/24 - Arlington County GOP Committee Meeting - Call: (703) 685-2488. 10/29 - Loudoun County GOP Committee Meeting - Loudoun County Government Center, 1 Harrison Street, SE, Leesburg. Call: (703) 627-5272. 11/1 - Alexandria GOP Committee Meeting - Minnie Howard School, 3801 W. Braddock Road, Alexandria. Call: (571) 281-7042. 11/6 - Election Day - 6 AM-7 PM, Please don't forget to vote! 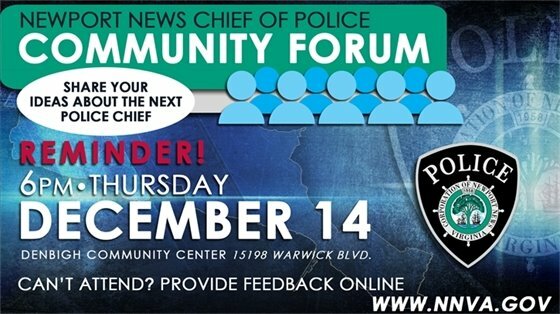 11/15 - Fairfax City GOP Committee Meeting - The Old Firestation #3, 3988 University Drive, Fairfax. Call: (703) 731-9029. 11/26 - Prince William County GOP Committee Meeting - Call: (703) 680-7388. 11/26 - Loudoun County GOP Committee Meeting - Loudoun County Government Center, 1 Harrison Street, SE, Leesburg. Call: (703) 627-5272. 12/6 - Alexandria GOP Committee Meeting - Minnie Howard School, 3801 W. Braddock Road, Alexandria. Call: (571) 281-7042. We hope you enjoyed this issue of The Northern Virginia GOP AGENDA. Published by Parmelee Associates. Paid for in part and authorized by NorthernVirginiaGOP.com-The Northern Virginia Republican Political Action Committee, a nonprofit not affiliated with national, state or local GOP committees. Not authorized by a candidate. To subscribe, unsubscribe, or for questions, please contact JTParmelee@aol.com or call (703) 502-0161. Feel free to forward this and/or send us e-mail addresses or fax numbers for those you think would want a FREE subscription. We hope you enjoyed this issue of The Northern Virginia GOP AGENDA. Newsletter disclaimer: Published by Parmelee Associates. Paid for in part and authorized by NorthernVirginiaGOP.com-The Northern Virginia Republican Political Action Committee, a nonprofit not affiliated with national, state or local GOP committees. Not authorized by a candidate. To subscribe, unsubscribe, or for questions, please contact JTParmelee@aol.com or call (703) 502-0161. Feel free to forward this and/or send us e-mail addresses or fax numbers for those you think would want a FREE subscription. Fundraising disclaimer: Paid for & authorized by NorthernVirginiaGOP.com-The Northern Virginia Republican Political Action Committee, a nonprofit not affiliated with national, state or local GOP committees. Not authorized by a candidate. Contributions not deductible for federal income tax purposes. Corporate contributions will be deposited in our state account. Federal law requires PACs to report name, mailing address, occupation and name of employer for each individual whose contributions aggregate in excess of $200 in a calendar year (VA reporting level is contributions aggregate in excess of $100 in a calendar year). At an afternoon work session yesterday, City Council continued a discussion on the City Manager’s FY 2019-2013 Recommended Capital Improvements Plan. The Recommended CIP was presented to Council in October and is anticipated to be adopted in January. The entire plan can be reviewed online. 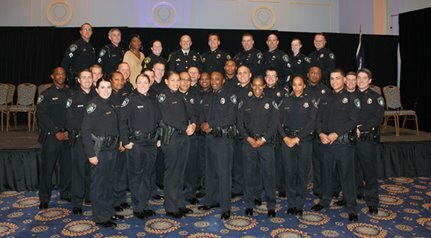 This newsletter is produced by City of Newport News. Content may be used with attribution. If you no longer wish to receive emails from us, you may Unsubscribe. 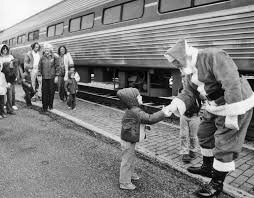 Join the Lee Hall Depot for a very special yuletide program on Wednesday, December 6 at 7 p.m. in the 1884 Warwick Courthouse,14421 Old Courthouse Way to discuss the book, Virginia's Legendary Santa Trains with author Doug Riddell and former Miller & Rhoads Snow Queen, Donna Strother Deekens. Best Choice Insurance Center is an insurance agency located at 605 Newmarket Drive, Suite 15 in the Plaza at Newmarket. Best Choice specializes in assisting individuals with understanding the insurance process and connecting them with options that best fit their personal needs and budget. Patrice Hilton, who offers over 20 years of experience in the industry, opened the business in February 2014. Patrice and her team of four employees are equipped with a vast array of insurance information and dedicated to helping customers make the best selection.